Apply to bring your Thai fiancee or wife back to the US starts with obtaining a K-1 fiancee visa for her. There is a set procedure for the K-1 Visa application and the K1 Visa process. Also to be noted that a K-1 Visa is not the only US Visa available to you. If you decide to marry in Thailand and register your marriage in Thailand you would then apply for a US spouse visa or what is commonly called the K-3 Visa. Here is a brief breakdown of the US visas available to you and your fiancee or wife in Thailand. If you are not married and only engaged then you need to apply for a K1 Visa. This is a fiancee visa which allows you to bring back your fiancee to the United States with the express purpose to marry her. If you area already married then you would need to apply for a K-3 visa or a CR-1 Visa . Each has its benefits and procedures. It is always best to speak to an immigration attorney to discuss these options. There is an income requirement for the K1 visa and you can watch the K1 Visa video online. It clearly explains everything to you in very simple terms. Depending on where you reside in the United States these financial requirements vary. If you are in the employ of the US armed forces the financial requirements are even lower, hence easier to apply for a fiancee visa. Again, watch the video here. The CR-1 visa is a bit different and its application and benefits vary when compared to the K-3 visa. The K-3 Visa takes a bit longer than a K-1 Visa but the ability to work in the US is shorter than if you made use of a K-1 Visa. The K-1 Visa is for a Thai fiancee where as the K-3 is for your Thai wife. 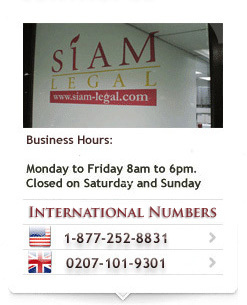 Speak to an immigration consultant for more information online today!